UPDATE: Church official says no candles would have been burning in the area, but electric and gas lines go under the altar area. UPDATE: Boston deputy fire chief says 5-alarm fire at South Boston church began in the altar area. UPDATE: Fire in South Boston now officially a five-alarm blaze. BREAKING NEWS: Fire in South Boston now a four-alarm blaze. 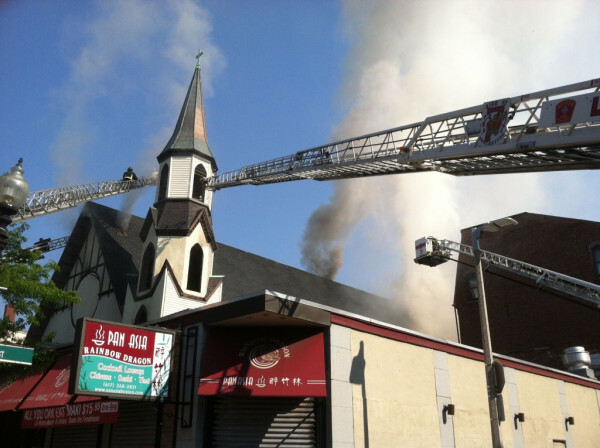 Building is St. John the Baptist church in the 400 block of Broadway.